Leasing at The Pierrepont has officially begun. The upcoming residential building is located at 146 Pierrepont Street in Brooklyn Heights, between Clinton Street and Cadman Plaza West. The mixed-use tower will have 90 boutique apartment units as well as 6,000 square feet of retail space. Designed by Marvel Architects, it is being developed by Jonathan Rose Companies, Bedrock Real Estate Partners, JD Capital USA, and Nuveen Real Estate. Interiors are being designed by Fogarty Finger Architecture. 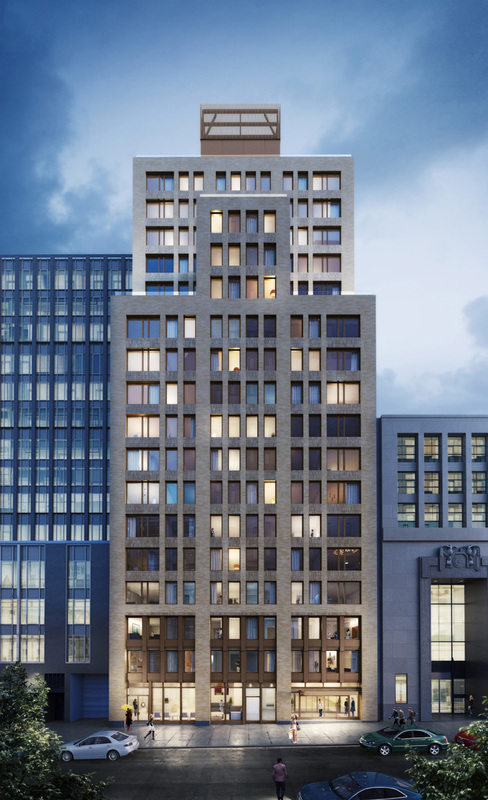 Located across from Cadman Plaza Park, One Clinton has officially launched sales of its 133 residences. 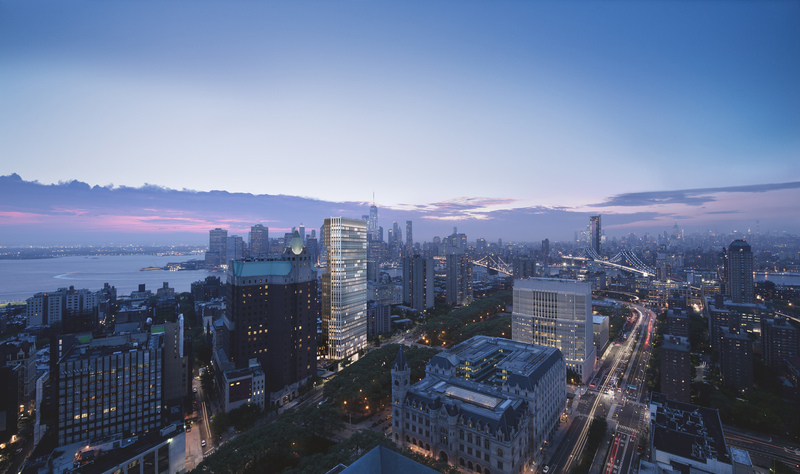 Developed by The Hudson Companies Inc., the Marvel Architects-designed tower is being marketed by the Cornell Marshall Team from the Corcoran Group, with the sales gallery located at 157 Remsen Street. The imminently 38-story tower is set to be completed next year. 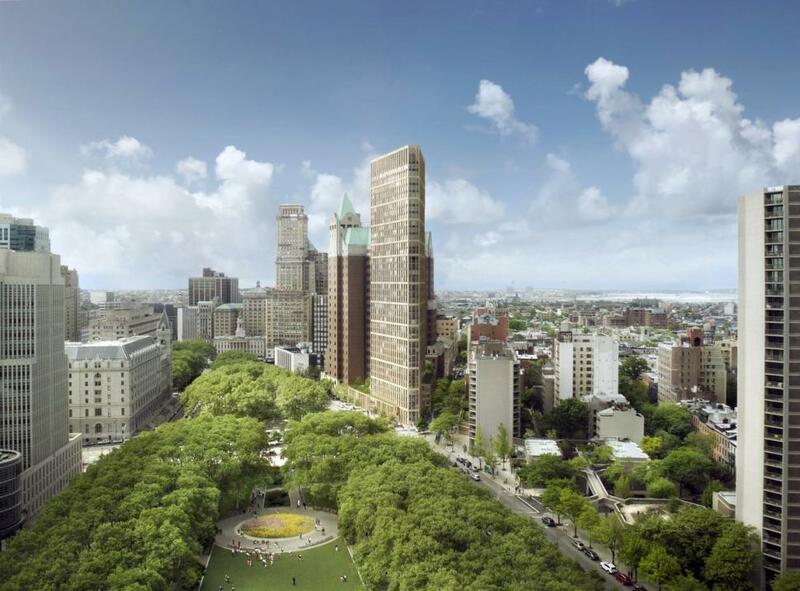 Development is underway for a new high-rise in Brooklyn Heights. It has been less than a year since the old Brooklyn Heights branch of the Brooklyn Public Library (BPL) was demolished, at 280 Cadman Plaza West. Work has progressed swiftly since, and thanks to images from Tectonic, we can confirm the new skyscraper has reached its second floor, with foundation work now apparently complete. 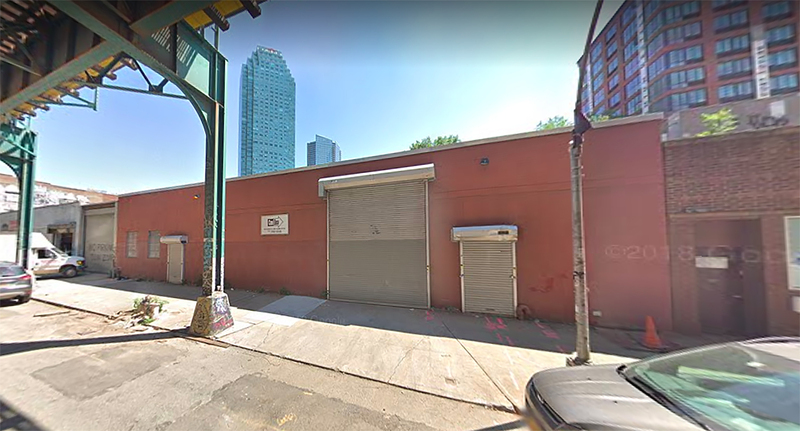 Permits have been filed for a 12-story mixed-use development at 1725 Village Lane, in Far Rockaway, Queens. 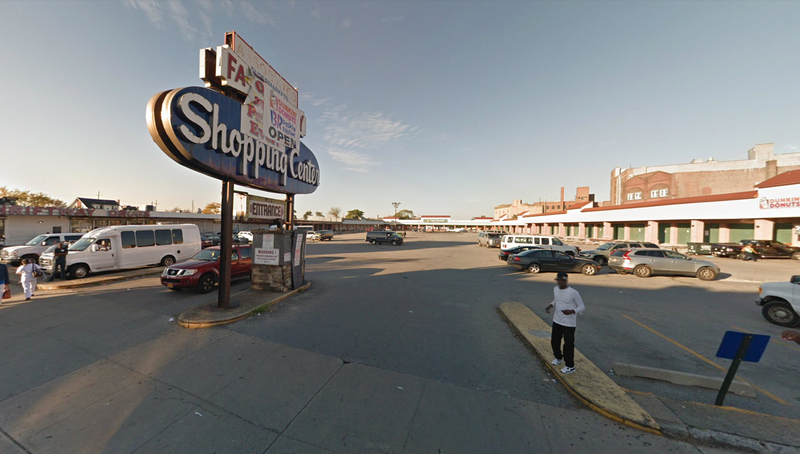 The site will be a re-imagining of the mostly-abandoned Far Rockaway Shopping Center.